A tasty traditional Curry of Srilanka. You can do the same Curry using Pineapple , Grapes , Plums etc . with fruits of your choice.A healthy and delicious mixture of Fruits with Masala. Mix the apple pieces with all masala except coconut paste and keep aside for 5 mins. Heat 1 tbsp oil , put mustard seeds, then finely chopped onions(half), curry leaves and saute for 2 mins. Add the apple masala mix and put coconut paste and cook for 10 mins and keep aside. Garnish with coriander and curry leaves. 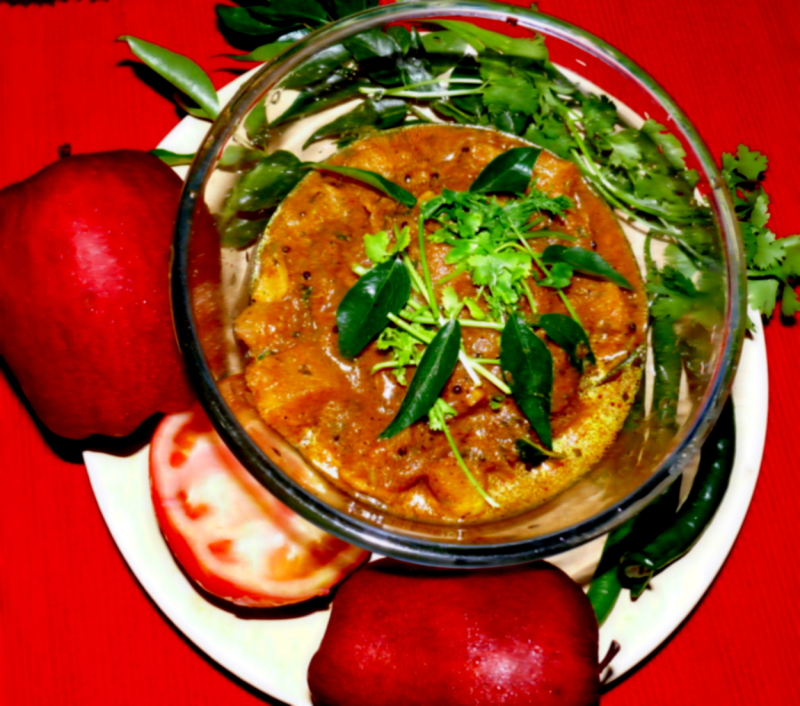 You can have this Apple Curry with Rice, Chapathis, Idlis and Dosas.